Maggie Greene is a collector of lianhuanhua (Chinese for "picture books”), and one day stumbled across a great find while visiting China: A Star Wars lianhuanhua produced in 1980. Greene, who is an assistant professor at Montana State University, wrote about it on her blog in 2014. Nick Stember, a masters student in British Columbia who specializes in translations of Chinese comics to English, fully translated all 142 pages of it. It’s worth reading through both the original and the translation to get the full effect of this puzzling but beautifully drawn little oddity. This comic adaptation of the original Star Wars film was created around when The Empire Strikes Back was released in the States, but there was only limited exposure to any of the films in mainland China at the time. It’s obvious when looking through these pages that the artist[s] had never actually seen the film but were probably just shown a few stills and posters. Only occasionally do any of the characters look “on model" and, more often than not, the renditions are spectacularly off the mark as seen in some of these insanely great pages. DARTH VADER IS A SUPREMELY METAL DUDE. In this flashback to when Darth Vader turned to the Dark Side, he apparently also went totally Metal and started riding a triceratops and even grew a pair of breasts. 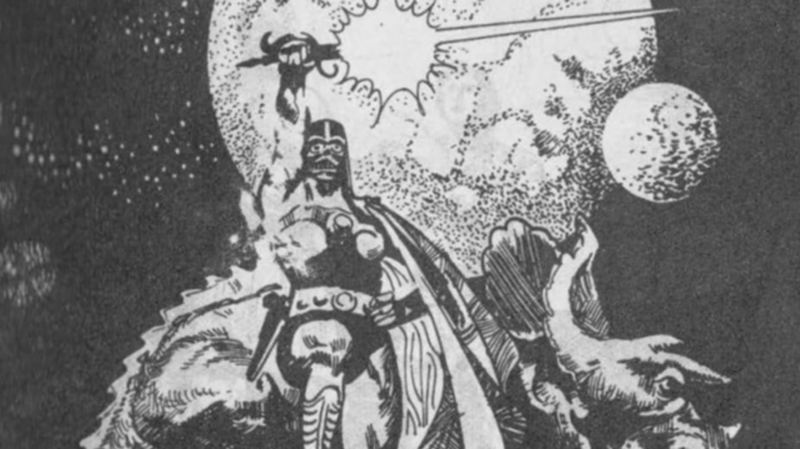 There are a lot of pages in this comic that are obviously copied from other sources, and this one seems to rely pretty heavily on Frank Frazetta’s cover illustration of Princess of Mars. OBI-WAN WAS A JEDI KNIGHT WITH A BITCHIN' STEED. 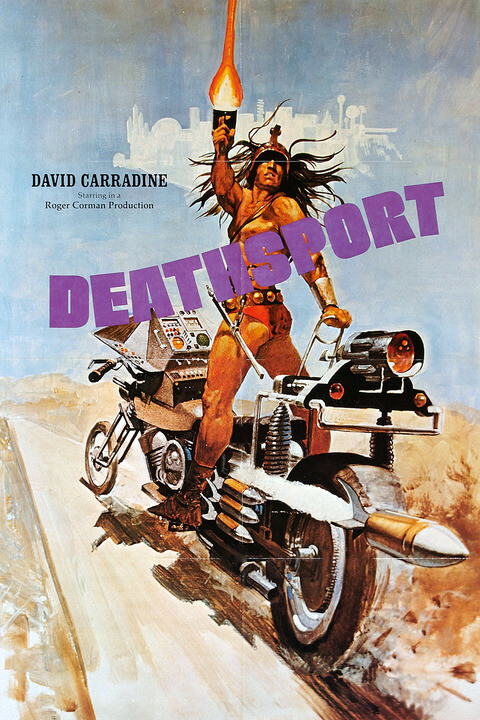 The artists took the whole "Jedi Knight" thing pretty literally in this flashback to the Clone Wars, combining a little bit of Spartacus with a complete swipe from the poster for the 1978 David Carradine film Deathsport. On two different pages we see prominent use of the J&B logo as decoration in Obi Wan’s home. This is pretty weird, but anyone who has a tattoo of Chinese characters but doesn’t fully know what they mean can’t poke fun at this. It just looks cool. THE DEATH STAR TARGETS THE KENNEDY SPACE CENTER. Apparently the galaxy isn't that far away, as the Kennedy Space Center is Vader’s target for destruction. PRINCESS LEIA IS OBJECTIFIED LIKE NEVER BEFORE (OR AGAIN). Princess Leia looks like a different person on every single page of this, and she’s usually drawn in a somewhat seductive pose. In her first appearance, we see her recording a holographic message for Obi Wan, but it looks like it’s about to get NSFSW (Not Safe for Star Wars). STORMTROOPERS AND BOBA FETT ARE THE SAME THING. Although Boba Fett does not appear in the first film, someone involved in this comic saw a picture of him somewhere because his uniform is used throughout in place of Stormtrooper attire (not knowing of course that a Fett/Stormtrooper connection would someday become canon). Also, that military-looking jet at the top of the page is supposed to be the Millennium Falcon. CHEWBACCA IS JUST A GORILLA WITH A BANDOLIER. It’s possible that the artists just got Star Wars mixed up with Planet of the Apes, but on some pages Chewbacca is drawn to look like this. LUKE'S UNCLE OWEN STEPPED OUT OF A SPAGHETTI WESTERN. Also, that tall guy with the rifle is supposed to be a Jawa. THE SAND PEOPLE LOOK ALL WRONG. Here, they are reminiscent of racist caricatures. LUKE, LEIA, C-3PO, and R2-D2 SHARE A TOUCHING MOMENT. There’s a lot of uncomfortable touching going on in this scene before Luke goes off to battle the Death Star. Leia seems to be performing some sort of blessing on him, and seeing C-3PO kiss R2-D2 and R2 actually hugging back is just not right. THERE ARE PAPARAZZI ON YAVIN. When Leia, Han and Luke make it to Yavin they are cheered on by adoring fans including teens taking snapshots. And yes, that short, gruff looking guy in the cosmonaut suit is Han Solo. LEIA HAS TO SIT THROUGH A POWERPOINT ABOUT THE COST-BENEFIT ANALYSIS OF BLOWING UP THE DEATH STAR. The whole Yavin section of this comic seems to rely on stock photos. THIS IS WHAT HAPPENS WHEN THE DEATH STAR EXPLODES. It's a pretty trippy ending to the Death Star battle. The guy on the left is Grand Moff Tarkin, and he looks as surprised by all this as we are.